Bangla Swanirbhar Karmasansthan Prakalpa is a scheme launched by Government of West Bengal to create self-employment by promoting micro industries, manufacturing, trade, service and other sectors except for direct agriculture industry through providing loans. Both urban and rural areas come under this scheme. This scheme is called “Atma Maryada” for youth and for entrepreneurs it is called as “Atma Samman”. Maximum loan provided to a group is ₹ 25 Lakh including 10% margin money contribution from the applicant. The state government also provides a subsidy of the project cost at the rate of 20% with a maximum loan of ₹ 1 Lakh to individuals and ₹ 2.5 lakh to groups. Although subsidy is provided only to those individual or group of entrepreneurs who have contributed 10% of the project cost and margin money. Any independent individual entrepreneur can avail this scheme. In case of a group of entrepreneurs, a minimum five members and all of them should belong to the same area. Although, central and state government employees or any person in other government undertaking cannot apply for this scheme. Only one member per family is eligible to form a group. Applicant however has to be an unemployed youth and is registered with an employment exchange. Income criteria- Family income of an applicant should be ₹ 15,000 per month. The applicant should be between 18 and 45 years. Any eligible youth can apply via the prescribed application form available with self-employment offices as well as blocks/self-help group. Contact the Block officer/Municipality/self-help group/self-employment officer for further details on this matter. Due to very bad position of my faimly i could not complete my studies gone for many business but unable to proceed because of no capital i have vast idea about my faimly business in which i want to invest. Do you think this loan? Due the sudden closure of the company I was working,in am in great trouble. Kindly let me know how can I avail BSKP loan and start a business. I live at Dakhineshwar ward no-12 of Kamarhati Municipality, West Bengal. Madam how apply bskp lon.ph_7890526288. To apply for BSKP Loan you can contact to your district shelf group officer for further information. Select the district from where you are and contact to concerned person of the district. Hum BSKP lone lene ki bad government job me apply kar sakte he keya?? AMI BEKAR LOAN NEBO BUSINESS KORBAR JANNA. KI BHABE SETI KARJAKAR HOBE. O KOTO TAKA LOAN TAKA LOAN DEBE GOVT. I want open a new business.but my family finances posation dose not permit this.. So I want to no what was the criteria to received loan . I am unemployed person. I want to apply for BSKP loan .how to apply? Thank you for your query. Kindly provide brief details of your requirement (project proposal or purpose of taking loan) and your professional and educational experience (including contact details) at [email protected] and we will get back to you. I want to apply for BSKP loan .how to apply? I am a single girl child, I have completed my masters in economics from Calcutta University securing 1st division. I want to be an entrepreneur but due to my financial constraint, I am unable to pursue my dream of being self independent entrepreneur. I want to be in entrepreneur in travel sector and I would love to get a commercial car (yellow board) which I can render for commercial purposes. I shall be highly obliged if I can get a support in this regard from your end. loan & want to start my own buisness.to secure my future. I live in Jalpaiguri i am B.com passed and 28 years of old. please let me know how can i apply? Thank you for your query. You can visit the link- https://www.swanirbhar.org/contact/contact.aspx to find out the contact details of employment officers for BSKP loan. If you have any further query you can drop in a mail at [email protected] . I am unemployed person. I want to apply for BSKP loan & start my own business .how to apply? I JUST STARTED MY BUSINES. FOR CONTINUING MY BUSINESS MONEY IS NEEDED. I DON`T HAVE MORE MONEY. IF I APPLY IN OUR BDO OFFICE, I KNOW I WILL NOT GET MONEY THROUGH BSKP. SO WHAT SHOULD I DO RIGHT NOW. dear, I am unemployed person. can you tell me how to apply bskp loan. hi , I am an unemployed person (age 57) wants to start business for that I need loan of 10 lac for period of 5-7 years. Can you help me ? I am unemployed person ,I want BSKP loan, How to apply… Already start busniss but short capital capacity plz help …. I am unemployed.. Start a new garment busniss but capital capacity vary poor plz help ….Iwant BSKP lone..
i am unemployed person.i want to apply for BSKP loan,how to apply? I am Asit Mallick , I want to apply for BSKP loan .how to apply? I am unemployed person.i wan to apply bskp loan.how to apply? I am rakesh chatterjee from bankura.i am an electonic and tele comm. Eng. A loan is impotent for me.i want to open a shop. I need a loan.I have edible oil a business ( Emami oil distributorship ) . I invest 4 lakh in it. I need minimum 2 lakh loan. Per month minimum 8 lakh rolling in my business. Can u help me. please contact me. I am unemployed women. I want to apply for BSKP loan .how to apply? So please guide me how to get loan and what prepossess… I shall be highly obliged if I can get a support in this regard from your end. Hallo sir, madam my name is Rathin sing from paschaim medinipur. I am unemployed parson,i have complate diploma in engineering but i am job less, i want to start my won business, i want broght a 10 wheelar truck, so i want BSKP lone, and my family income 15000 so how can apply the lone..Thank you.. .
Sir i need a loan basicly for mu family.so that i can secure them in future. Hi I am Moumita Chakraborty. I have just completed my MSc. Now I am planning for a business. Due to my poor financial background I want to take this BSKP loan to start my business and secure my future. Please let me know how can I apply. I am Subhra Dasgupta,planning to set up a hotel and restaurent business and my address is 30 Ratan Babu Road,Cossipore,Kolkata-700002. Please give me the address where i will get proper information about the loan procedure. Can any Student apply for BSKP loan? Hello Sir, I don’t have a employment exchange card. Can I apply for BSKP loan? Hello Sir, My name is Sahil Midday, I don’t have a employment exchange card. Can I apply for BSKP loan? How can i get loan? Plz inform me..
Can one avail of loan from eligible Financial Institutions more than once under SVSKP scheme? If yes, what will be the Subsidy component? I HAVE RETAIL EXPERIENCES OF 10 yrs BUT WT I M EARNING I CANNOT SAVE IT SO KNOW I M PLANING TO DO SOME OWN BUSINESS BUT I DONT HAVE MUCH TO START A BUSINESS SO I NEED THE BSKP LOAN TO START MY OWN BUSINESS SO I CAN DO SOMETHING FOR NEEDY N FOR MY FAMILY. SO PLS MAAM PLS IF U CAN GUIDE ME TO GET THE OPPORTUNITY. hi,i have a small kid.and i want to grow a small buisness fror that require minimum 3 lakh. i want to join in bskp plan. can any one help me to what is the join procedure. i am in critical situation. hi,i have a small kid.and i am unemployed. i want to grow a small buisness for that require minimum 3 lakh.i want to join in bskp plan.can any one let me know to what is the join procedure.i am in critical situation. Due to very bad position of my faimly i have decided to apply a loan of BSKP but when i go to bank (many bank like sbi,obc,ubi) they have not interested to finance me. So i have request to you that what i do. Please ssy. i am a unemploed person.how to apply. ashok mondal. Hi.l want to fulfill my wife’s dream .but shortage of funds.so please help me.&grant me a loan. and when it will be stat?? I am unemployed person. I want to BSKP loan.How to apply.please reply me. Sir my famili income very law. Now I start a business but many problem . Please tell me how I apply BSKP lone. Haw to applay for this loan??? I am Sandip Kr Ghosh age about 39 yrs. I am a Pharmacist and I have applied for retail medicine shop.My employment exchange card was rejected. Can I apply for BSKP loan ? I want to start my own business… How to apply Bskp loan please contact me .. I am Arup Laha agg about 26 year. I applied may’ 2015 all document completed with passing BDO office to Allahabad bank (branch coed : 0211288) , But not released my lone form bank. please help me ! I am unemployed person.I need a poultry firm business. Bu not have sufficient money.So I need a loan under bskp scheme. Please give me right way or right contact person.l live in Raina1,dist burdwan. Westbengal. I Raja Kumar Mukherjee, before I had live in Gaya (Bihar) My schooling and college is from Gaya. Now I live in West Bengal. Vill- Narayanpur, Post. Patuli, Purbosthali II, Burdwan. It is my fore father land. And I want to start a small bussiness here. How can I get BSKP loan. Sir/mam I m working in small private company.Can I apply this loan to start my own business. I m tired being searching jobs, I live alone here in Chandannagar. My financial condition is not quit well & I am living in a rented house by born. Which cause me fall in great depression and anxiety. I want to take This B.S.K.P loan & want to start my own business secure my future. I live in Hooghly I am H.S. passed and 35 years of old. Please let me know how can I apply B.S.K.P loan? Ami bskp loan niite chai kibhabe kothay apply korbo pls janaben…..subir mitra mo-7001613879.er aga dalaler marft loan note giye 5600/-taka amar male geche tai bartomane interneter maddhyome sabar help chachi.pls key phone back email Margot janaben. I am sanjay das I want to start poultry farming. I am unemployed person I want to apply BSKP loan. My employment exchange card renew date was over and it cancel.my age is 40+.can I get BSKP loan for financially develop for my famali.please reply. I am Arup Laha aged 26 with own business place.I applied on past May 2015, bank verification was completed along with all submission of documents. No attention was given by the Allahabad Bank (branch code: 02511288) and Nanoor block B.D.O Office, I am still waiting for a long time.Due to lack of finance i could not go ahead, as we are unemplyoed. please guide me for further assistance . so that i could progress. Ami electronic er kaj sikha6i.akta choto dokan a6a kintu takar janno chalu karte par6i na.Bskp lone pate ki ki karte hobe jodi bolen khub upkrito hobo. when i apply for bskp loan for broiler framing then B.O.D asked where my facility & viability Statement ……. i can not understand facility & viability statement .So please tell me about this? I’m Bakul Karmakar, can you please help me regarding how to avail this loan, in order to start my business. I and my friend want to open a poultry farm. Am I eligible for this scheme? all type of rulles .please.08116030792my con.no. hallo i am avijit mondal . live at d.dinajpur . i am unemployed person . plzzz any body help to me and any sujetion . I want open a olld business.but my family finances posation dose not permit this.. This is Santu,I want to start a new tour and travels company,but it has not possible for lack of money.So I need 1.5 lac.I have just 20k.And I’ve not trade licence,tax file,anythings but it sure I’ve good knowledge about that,how to do it.And I’m sure if I get loan, it will not difficult to return.So how can I apply for that and please tell me the whole procedure.thank you. I am Pratyush. I want to know about BSKP Loan. I am Debabrata Bagchi from kharagpur(Town) of Paschim Medinipur district. I am unemployed youth. . Now I am continuing my education. .. 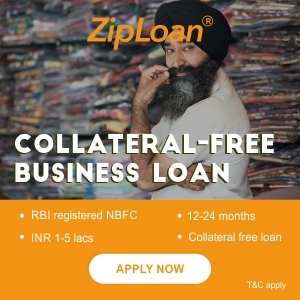 I want to start a business… how can I get this loan ??? Can you help me by providing true informations ???? I need this loan for starting a business ..
SIR , I AM FROM MAJDIA , MRIGIMARI PARA , BLOCK- KRISHNAGANJ , DIST- NADIA, PIN-741507. I HAVE SUBMITED THE ALL DOCUMENT (EMPLOYMENT EXCHANGE CARD, VOTER ID CARD, AADHAR CARD , RATION CARD , QUALIFICATION CERTIFICATE, INCOME CERTIFICATE , PROJECT IDEA LAND PAPER ,ETC) BEFORE 7 MONTH . BUT NO REPLY TO B.D.O OFFICE OR ETC. I need loan for start my own bussiness.Please sugguest for the loan process. I am Biplob Majhi, From Khorkol, Khandoghosh, Burdwan(W.B).I need a loan minimum 100,000/- for start my own Bussiness. Please sugguest for the loan process. My employment exchange card renew date was over and it cancel.my age is 32+.can I get BSKP loan for financially develop for my family.please reply. After the sudden closure of the company I was working in am now unemployed and financially unable to start a business. I would like to know how can BSKP loans help in starting a business and what are the procedures. Looking forward for your valued feedback. I reside at Dakhineshwar ward no: 12 of Kamarhati Municipality, West Bengal. Before the taking loan can I get not any profit of gov servise ? Like any gov servise or any work. I am not only an orphan but also a divorcee with no scope of living.None of my relatives are keen to allow my stay with them or willing to help me financially in any small business venture. I want to start a small Handi Craft business with very low investments like manufacturing of Sanitary Napkins or Agarbati near home. For starting the business from grass root ,I will need approx Rs 5.0 lakhs. Shall be obliged if all details regarding sanction of Loan, repayment terms, how & whom to apply etc are given to me. I have a Bank A/C with UBI, Narendrapur. Hi, My name is christina gomes and want to start my own restaurant business and to start that i require a loan and i guess this government loan is the best for start up businesses, I am from kolkata and planning to open a restaurant at south kolkata,So as said earlier i would require a loan in order to do that So kindly tell me the criteria’s and the requirement that i would need in order to apply for this loan and also where should i go to get these things done. My employment exchange card renew date was over and it cancel.my age is 25+.can I get BSKP loan for financially develop for my family.please reply. I am Barnali Roy house wife. I want to start a business and I want a loan for starting my business. But my family income more than 15000. Can I eligible for any loan. Please Reply. I along with my wife have registered a company under LLP format. We will be dealing in gifts and crafts with unique ideas. Due to financial support we are yet to start the business. How can we apply for BSKP loan? Do we have to apply as individual? We are Private Limited Company (Micro), registered under SSI, Udyog Adhar, NSIC (under process) VAT, CST, Service TAX, IEC,. I am smarajit sikder writeting form west bengal, nadia. I am an unemployed youth. So,, i wants to bussiness For the jewllery shop. So plz kindly help me. I have a exchange Card. I want to laken lone only 3 luck rupus. Age 27, Qualifications 12 pass. My name is Dipak saha from uttar dinajpur karandighi block west Bengal . Sir / mam I need a loan for start new business within 3 month .I well start a transport business , need a money of 500000 lacks so please help me . sir i am handicap 40% .i want to gate a bskp lone .please healp me. Hello, I have an amazing business idea. I want to do something different. Please tell me or guide me, how can i get at least 3’00’000 as a loan from Yuva Kallyan Daftar in WB GOVT? I have completed my Graduate in Accountancy Hons from Calcutta University securing 2nd Class. I have a Cyber cafe and i have experience in computer repairing, sales and online business for 14 years. I am now 38 years. I want to be an entrepreneur but due to my financial constraint, I am unable to pursue my dream of being self independent entrepreneur. I want to be in entrepreneur in computer sales, repair and online business. I want to apply for Bskp loan. i am unemployed so want to buy a car for giving rental service.really need your help. I want to self depandet job. I want to bskp loan. Main ek berojgaar ladka hu mujhe business karna hai business ke liye mujhe capital ki zarurat hai so please help me…. I want BSKP loan to start a small Agarbatti Making unit. How to proceed and what are the requirements? Your reply will surely give me a progress in my project. I am an Unemployed person and I want BSKP loan for a small business. How the procedure please let me know as soon as possible. How can i close the BSKP loan account, or what is the tenure for maintaining the BSKP loan account? Plz give some idea i want to close my account. I am Naba kumar Das, I want to make some production business, want some loan for it, please give me a suggestion? And where can I get a loan if I contact? Please Help. I am an unemployed person and want to buy an auto to run in east midnapur area. Can I apply for this loan? If my svskp loan is sanction, and few years later i got a government job. Then i joining this job? I own a school, namely BAGDOGRA PUBLIC SCHOOL, since 2014. Still requires lots of money (approximately 5 LAKHS) for infrastructure. Although I am meeting the operational costs from School’s income only. Well, If I add my income from tuition too along with the school income,sometimes it’s below 15000. Can I still avail this loan? I am a post graduate and still unemployed. So now I want loan like BSKP. Pl suggest what kind of business do I prefer as per my qualification. I have quite good experience in teaching as well. If anyone got SVSKP loan and after having the loan he/she has an opportunity for govt job., he /she will lose the chance of being a govt employee???? Plz give me info. I am AFSANA SK.writing form west bengal, howrah. I am an unemployed youth. So,, i wants to start my bussiness For the invitition shop. So plz kindly help me. I have a exchange Card. I want to take a loan only 5 lakh rupee. Age 30, Qualifications B A PASS.To apply for BSKP Loan you can contact to your district shelf group officer for further information. What if the business set up by taking loans by an unemployed person does not succeed. Then to repay loans have to sell property. This is like gambling by taking loan. I was working in Qatar a year ago in hotel industry, now I m back to my home town , I want to open a retail industry, or a restaurant in Naxalbari, West Bengal but my finical condition is not good , I just want to avail some loan to start my new business.So I kindly want some information how to avail a loan , Thank you. I am interested to run a poultry farm with 500 chickens so what is the process to start the small business suggest me in detail about scheme, loan and field construction. My elder brother (Sanjay Das) has a small decoration business . He has to look after his family. He cannot invest more in his business. He needs capital. He applied for svskp loan. But his request was rejected for some unknown reason. Some block level representative for Sahapur region (Sahapur, Old Malda, Malda) has been making some problem. Though once that representative and local BGVB bank manager (Sahapur Branch) inspected the business and were satisfied. But yet the loan has not been approved for my brother. He has an extreme need of it. So please help him. I am unemployed like you.this is unresponsive schem in west Bengal.not do anything for youth.only tell those scheme that scheme but any scheme have not work.That’s our west Bengal. If I tell wrong sorry friend. Hi, Can I take BSKP loan to start online business from home? i , sunil thakur from hooghly uttarpara gram panchyat , i have doing business for last 5 year for air electrical equipment Sales & Service now i want to loan Rs.10 Lakh from BSKP. I am unemployed , and I am planning to start a new business. To start business , I need a loan. Kindly Assist me for procedure of the loan. I am unemployed person.I want to apply for BSKP loan. Good Afternoon Madam, I am Purna Chandra Das, Lives in Sabong, Paschim Medinipur. I want to start farming business. How to get Govt loan for small business. Kindly help Me, contact No – 9049790069. I want to buy a shop in Kolkata. 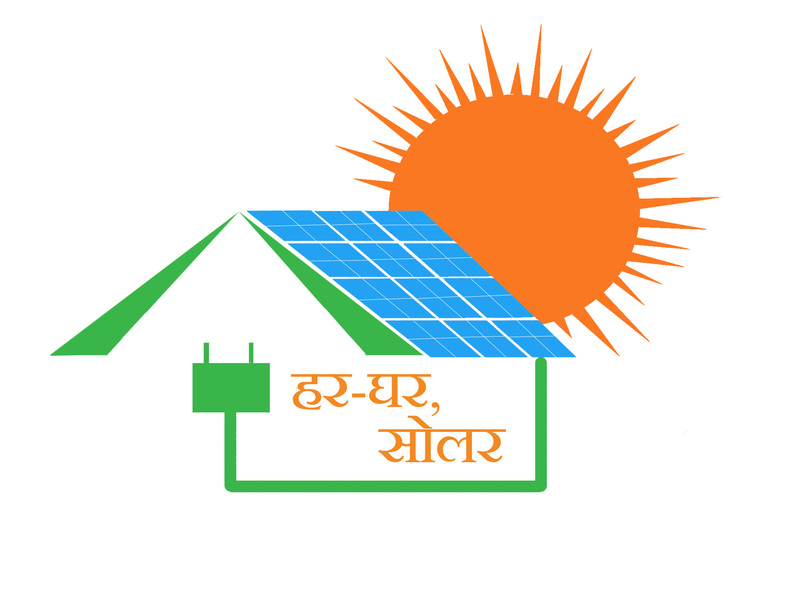 Any subsidy facility loan can be available in Kolkata. If yes. than how I applied and where applied? what is the total prcedure, please guide me. My bskp loan is approved and subsidy money given by government to bank but bank take it and extra rupees 38000 wants from me for give me the loan amount rupees 161000. I am Tapas Mohanto from Sarsuna, Kolkata – 700061, ward no.127. At present i have net income of rs.3000/- but my company is susupension of work from 2002 july. But no position for better income due to my health of heart blockage and i have two son. So i request you kindly pray the loan sanction amount at this position for start a new business. I am Tapas Mohanto from Sarsuna, L/230 Talpukur Road, Sarsuna, Kolkata – 700061, ward no.127. At present i have net income of rs.3000/- but my company is susupension of work from 2002 july. But no position for better income due to my health of heart blockage and i have two son. So i request you kindly pray the loan sanction amount at this position for start a new business.